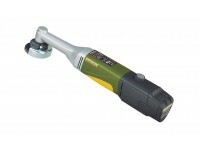 For working on steel, non-ferrous metal, glass, ceramics, wood and plastic. For cutting, roughing and grinding. With variable electronic speed control for high torque, even in the lower speed range. A corundum grinding disc (grit 60), a fan sander (grit 100) and a reinforced cutting disc are included. Safely stored in an attractive plastic case. Set includes LHW/A, lithium-ion battery Li/A (10.8V) and rapid battery charger LG/A. 5,000 - 16,000rpm. 10.8V. Discs Ø 50mm with 10mm bore. Length 320mm. Weight approx. 800g (including battery).High quality 10.8V lithium-ion battery with 2.6Ah for a performance comparable to its mains-powered counterparts. One battery charge will last at least 30 minutes even at maximum power use. No other battery-operated power tool lasts longer in this class! Gear heads of die-cast aluminium offering exact bearing seats. Main housing of glass-fibre reinforced POLYAMIDE with soft component in grip area. Slim power tools you will love to hold! All models with a special balanced, powerful, quiet and long-lasting DC motor.